Walter Knoll has always advocated modernity. A recent visit to Walter Knoll’s HQ near Stuttgart provided us with an insight into this remarkable and forward thinking family and company. The company had its origins as far back as 1865 when Walter’s father Wilhelm opened a leather shop in Stuttgart. This soon became a successful company and was taken over by Wilhelm’s sons in 1907. 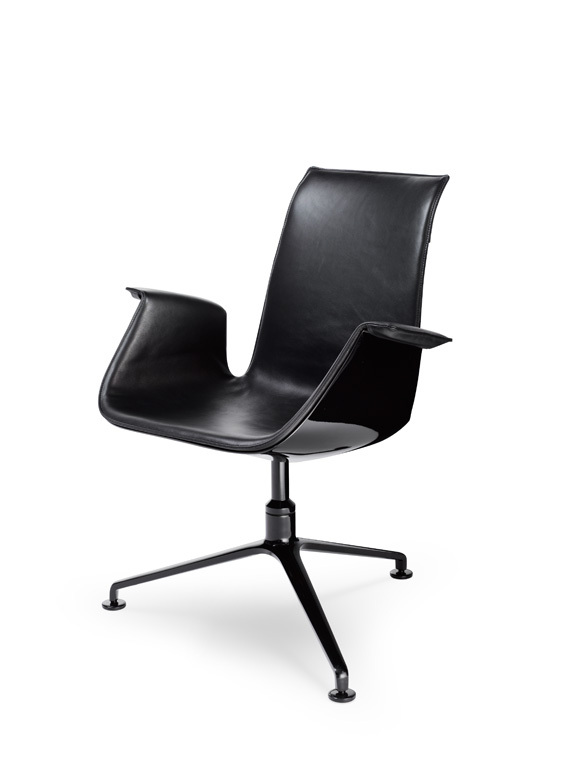 Walter founded Walter Knoll in 1925, building on many years of experience in his father’s successful leather business. Early developments included the furnishing of several show flats for the 1927 Die Wohnung exhibition at Stuttgart’s trailblazing Weissenhof Estate that featured work by architects such as Mies van der Rohe, Le Corbusier and Walter Gropius. 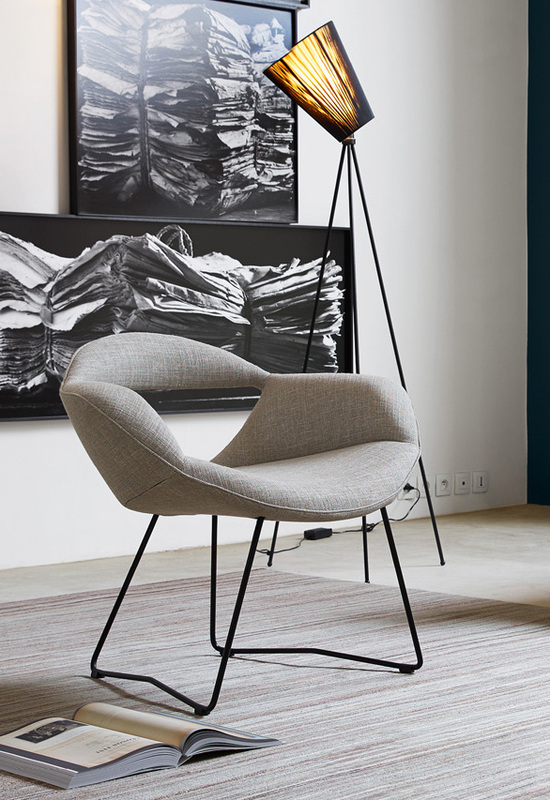 Post-war, Walter Knoll have striven to push the boundaries of modern living, presenting the Vostra chair in 1949 and continuing into the 50s with a series of modern designs such as the bucket seat 369 (still considered a modern classic). In 1993 the company was purchased by the Benz family and continues to promote the ethos of masterly craftsmanship, fine materials and lasting design. The company is now one of the leading furnishing manufacturers in the international high-end segment working with renowned architects and designers such as Norman Foster, Pearson Lloyd, EOOS, Ben van Berkel, Kengo Kuma and Claudio Bellini. A walk around the factory headquarters in Herrenberg (which has been the base of Walter Knoll since 1937) provides an insight into Walter Knoll’s incredible attention to detail and quality. We begin outside viewing the company’s high-tech multi-award winning building from without. An edifice of glass, steel and concrete greets us, but it is the glass facade that dominates; an open invitation into the heart of the company, where cutting, sewing, upholstering, testing and packing take place. Inside, the story of quality continues: the employees know their stuff and are passionate about their work. Leather, for example, makes up 70% of the company’s output and is sourced locally from specially approved and selected tanneries in Central Europe. 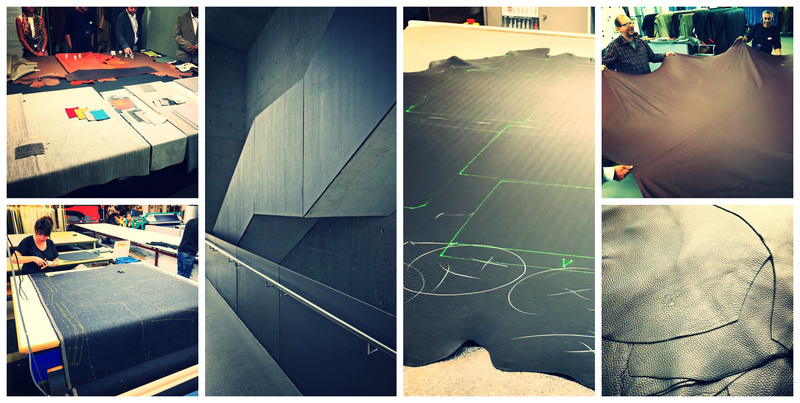 Once at the factory it is thoroughly checked and tested, the tiniest natural features being marked with water-soluble chalk before cutting templates are projected onto the hide to provide the most efficient use of the hide and indicate areas that require the best quality leather. This ethos permeates into other parts of the production including fabric, seams, and surface finishes. The attention to detail and the resulting quality of the product is phenomenal. Walter Knoll also aim for products that are ecologically sustainable and socially responsible. Their sumptuous Legends of Carpet range for example is created by artisans, hand-dyed and hand-knotted in the Himalayas following centuries-old traditions and using locally sourced wool. Each carpet may take four or five craftsmen up to five months to create. The workshops comply with Fair Trade Organisation guidelines on working conditions and fair wages. The company is proud of its heritage, still producing classic designs that have stood the test of time as well as new designs that follow the same ethos. Well-crafted, well-engineered, minimalist and timeless design is by definition sustainable design. Such products require less material and will last for decades. The company’s sustainability ethic transfers through to their buildings as well. Our trip concluded with a visit to Walter Knoll’s production facility in nearby Mötzingen. The building features optimised insulation, heat pumps, concrete core thermal activation, sprinkler tanks for heat storage, solar panels and flood detention basins. 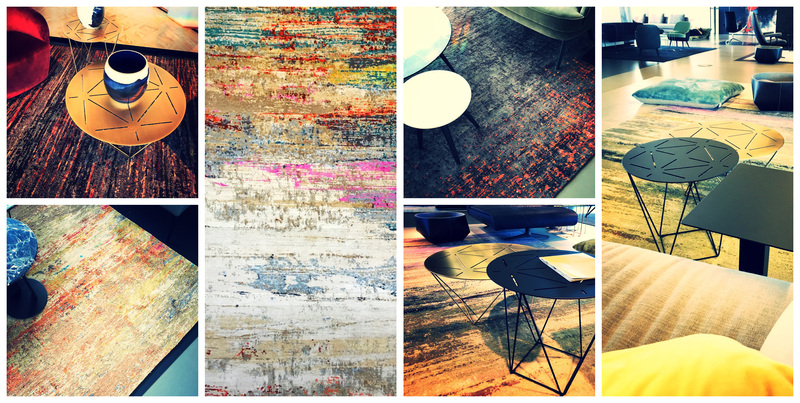 Welcome to the world of Walter Knoll. A truly modern way of life. Now more than ever, we are seeing the lines blur within design…a cross pollination of materials, furniture and space utilisation has become noticeable between sectors. Workplaces are moving away from desk based environments and are embracing softer, more homely finishes and third space furniture. Residential developments are looking more like luxury hotels, while hotels are now introducing schemes that resemble communal apartment style spaces. Not to mention that in Tokyo, you can now stay in a hostel that masquerades as a bookshop. Furniture design is progressing in tandem with this industry change, and in recent years, new furniture trends have been emerging to keep up with this shift. Old classics are being made over with a fresh face and manufacturers are now offering a wider range of finishes. The classic Bertoia Side Chair now comes in a more playful plastic version and last year we wrote about Walter Knoll’s revamp of some mid-century Turkish designs…the Burgaz, Rumi and Fishnet chairs. 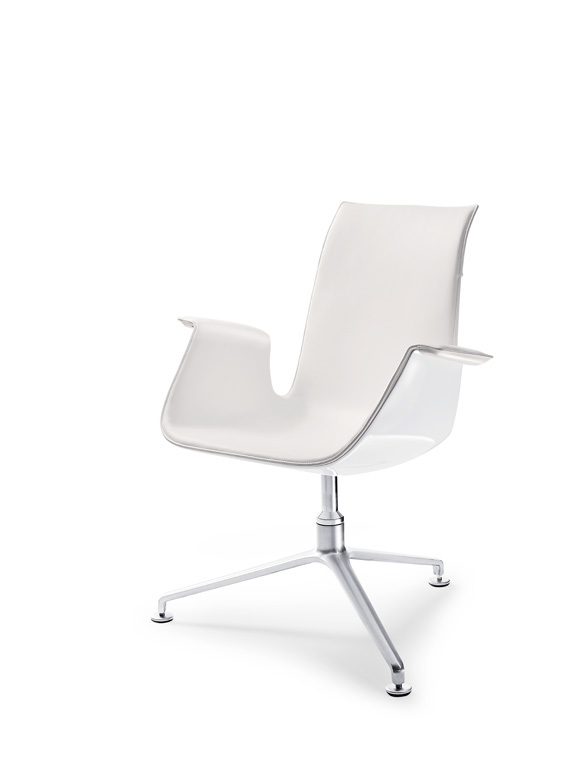 Not only that, Fritz Hansen also welcomed back the Drop chair after a 50 year hiatus. These pieces could reside happily within a restaurant or hotel setting, or just as easily suit an office, meeting or reception space. Features such as two tone fabric, metallic, coloured and timber legs are more frequently offered as standard options now, making furniture more flexible than ever. These details are filtering through all sectors of design and have largely been embraced by manufacturers such as Frovi, Naughtone and Connection. Each boast a wide selection of finishes in their portfolio, creating a smorgasbord of options suitable for application across multiple sectors. Some of the most adaptable ranges available are the Ilk family of chairs (Frovi), the Always selection of chairs and lounges (Naughtone) and the Dixi range, from Connection. 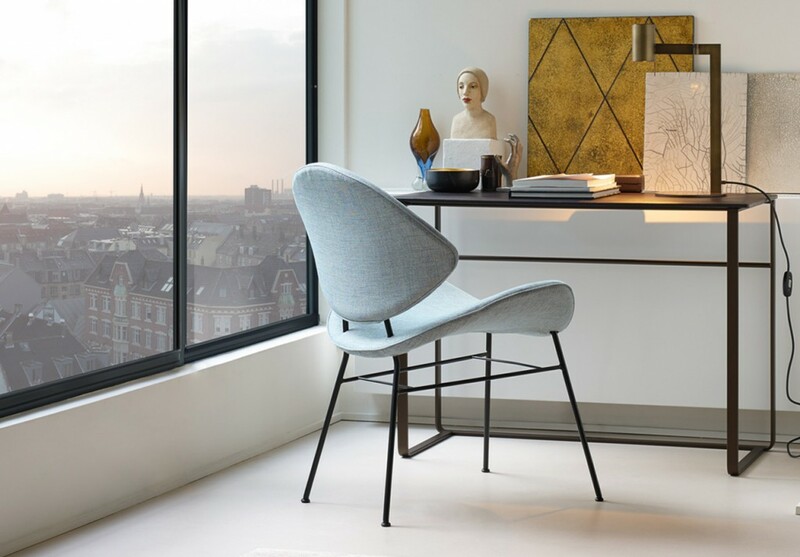 In a move to broaden their appeal in the leisure and hospitality market, Walter Knoll have chosen to forego the recent trend of gold in favour of hand textured brass. Their unique brass pieces were showcased at IMM in Cologne last month with the 369 chair, Joco and Oki occasional tables. Walter Knoll feel that these items provide a warmth that was previously lacking in their collection, making them suitable for residential and hotel applications. So, whether it’s chairs for an office meeting space, restaurant stools, or lounges for a hotel lobby, the blurred lines of furniture design now make it easier than ever to find just the right piece for any space. 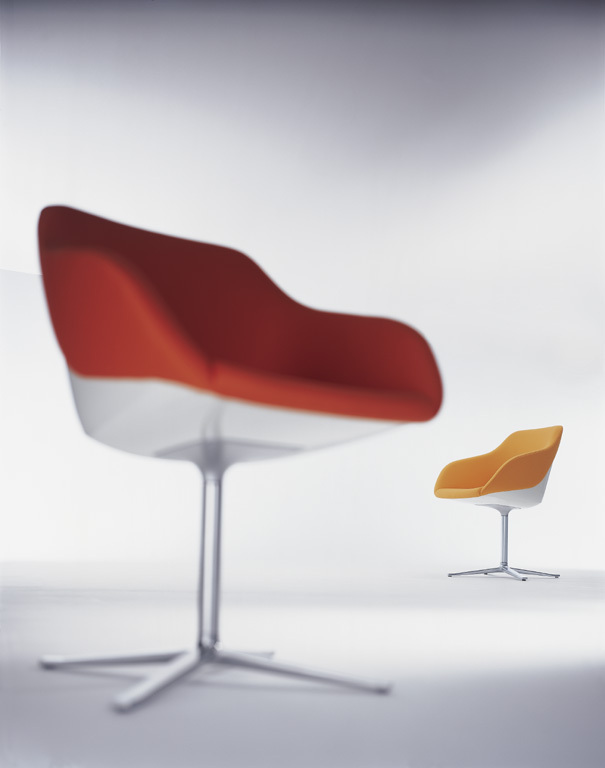 Design icon, movie star, the Walter Knoll classic: FK turns 50. Designed by Danish interior architects Preben Fabricius and Jørgen Kastholm in 1967 ( the name was derived from their surnames), the FK bucket chair with its striking curved contours has had a remarkable career: from Herrenberg to Hollywood (Meryl Streep sits in an FK in “The Devil Wears Prada”), from the very first prize for “Good Design” awarded by the German Design Council in 1969 to a design icon that can be found in executive offices and living rooms, conference rooms and hotel lounges around the world. How did FK become such a timeless classic? Learn more about the FK story here. November 2016 marks our 15th year in business. Following 10 years at Riverside Studios, Leeds, we’ve undertaken a reboot of our working showroom to highlight current and emerging trends in workplace design as well as showcasing some products that, quite simply, we like too much not to show! Launched at our CoWo15 Reboot event last Thursday, the new showroom can now be officially revealed. So, if you were unable to attend the event last week; this is us. Welcome to our World! Our reception area now features a selection of leather classics from Vitra, Knoll Studio and Walter Knoll, showcasing designers such as Charles and Ray Eames, George Nelson, Eero Saarinen and Preben Fabricius and Jørgen Kastholm. 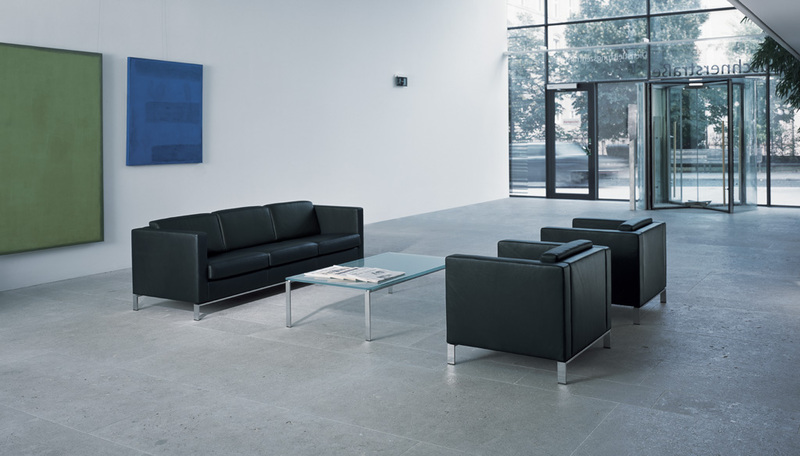 Piero Lissoni’s luxurious Avio sofa system by Knoll Studio provides the central statement piece. From KI, the EC4 bench system keys into the current biophilic design trend and features solid oak splayed legs and a matching laminate edge detail to give a softer and more naturalistic look. In common with other KI systems it incorporates a sturdy metal understructure with a comprehensive cable management trough. Intended as an agile work/meeting base we’ve completed the bench with CMD’s Inca power/charger unit. Inca has been designed with communal working areas and meeting rooms in mind. Four usable faces allow users easy access to power and USB charging regardless of where they are positioned around the table. Sit-stand workstations are increasingly a requirement rather than a luxury and more systems are entering the market to suit a variety of budgets. We’re showcasing Vitra’s Tyde system by Ronan & Erwan Bouroullec, in our opinion one of the better back-to-back systems with its clever cable management solution and accessories. Also from Vitra and again by Ronan & Erwan Bouroullec is the Alcove Cabin. The Alcove Cabin provides a secluded space, enclosed on all sides and accessible through a single opening. It provides visual and acoustic privacy for small meetings at the table and power connections and lighting allow it to serve as a fully-fledged workspace. Alcove was the original high back sofa concept; copied many times it has sparked a small revolution in workplace meeting areas developing into the agile working ethos. The agile working theme continues into our new breakout space with the ADD modular sofa and table and Kipu stools from lapalma. ADD’s slimline aesthetic belies its strong structure. The area is nicely screened by the Howe Spaghetti wall providing a psychological barrier that is open enough to invite you into the space and yet also provides a modicum of privacy. Our task chair selection includes the latest ‘sitting machines’ from Herman Miller, including Mirra 2, Sayl and Embody along with the fantastic new Keyn side chair. 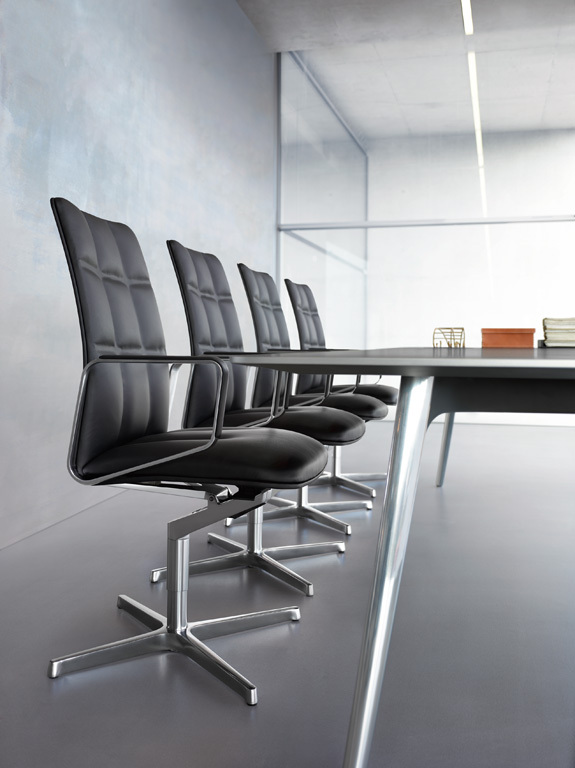 Intelligent seating offers include Wilkhahn IN, Boss Trinetic and Nomique Axia. Finally our Knoll Studio collection showcases designs from Eero Saarinen, Ludwig Mies van der Rohe and Harry Bertoia, including the rebooted and inexpensive Bertoia side chair with plastic shell for indoor or outdoor use. If there’s anything you’d like to see just drop us a line to arrange a visit or for more details or have a look at our video on our YouTube channel. Here’s to another 15 years! Sadi Ozis designed the first modern furniture in Turkey in the 1950s. Sculptural and modern, organic and functional and elegant and sophisticated, the designs were ahead of their time. In post-war Turkey materials were scarce and Sadi was forced to utilise unusual materials, such as wire, tin and fishnet. For example, the original 1953 Burgaz Chair featured cable whilst the 1959 Fishnet Chair design featured woven fishnet between the bent tubular steel framework. The third design, Rumi, is an armchair reminiscent of a dancing dervish, given its name because of its curves and flowing lines. The expanses of the side chair spread out, smiling and lightweight like the floating garments of the oriental dancers. Walter Knoll is issuing the upholstered versions of the Fishnet Chair, Burgaz Chair and Rumi – further developed at the time by Sadi Ozis together with his son, Neptun Ozis – shaping common values and with the experience of excellent upholstery craftsmanship. Today, more than 50 years later, the products are as modern as they were then: timeless icons of design. Walter Knoll creates living spaces. With masterly craftsmanship, exquisite materials and sustainable design. 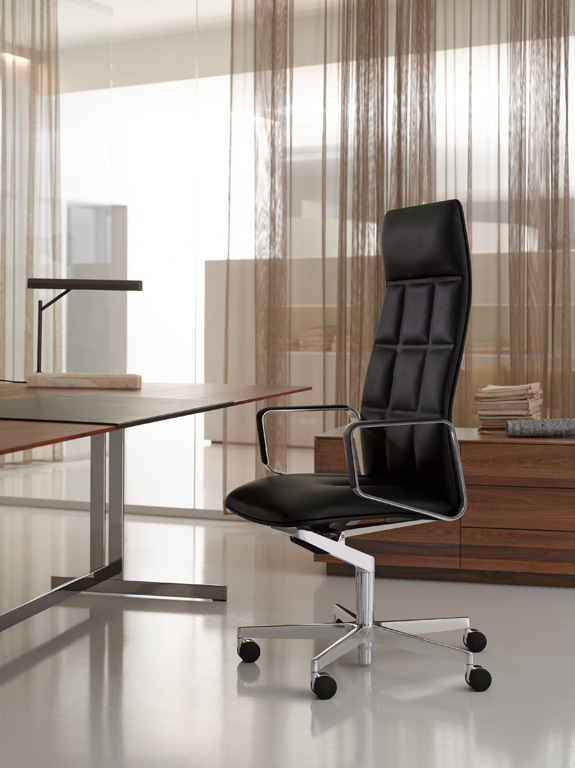 Furniture from Walter Knoll fulfils the desire for quality of life and creates genuine values. For the international lifestyle of today. 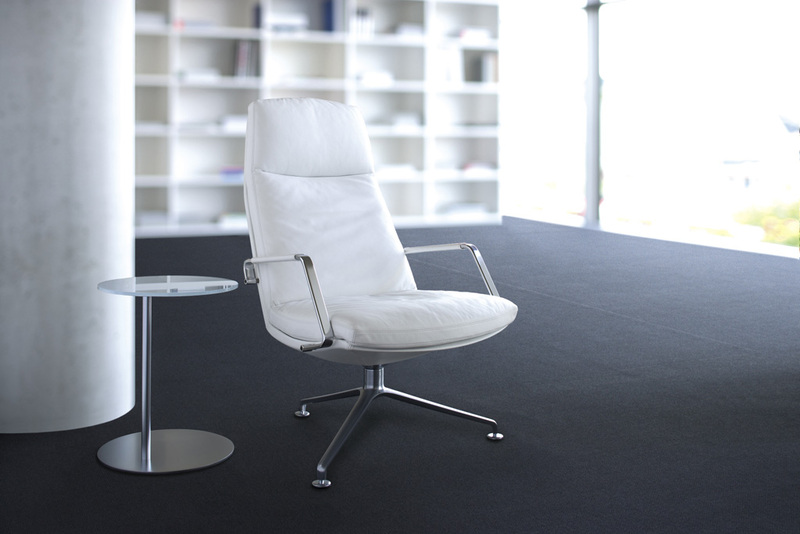 Walter Knoll is known as the furniture brand of the modern age. 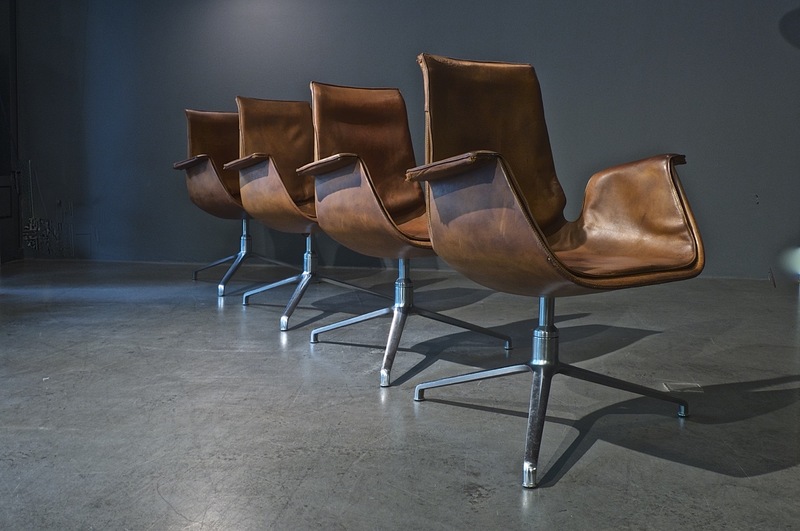 Founded in 1865 with a “leather shop” in Stuttgart, Germany, the company continues to make its mark in the history of furniture: it has created classic pieces and icons of the avant-garde and is a by-word throughout the world for modern design. 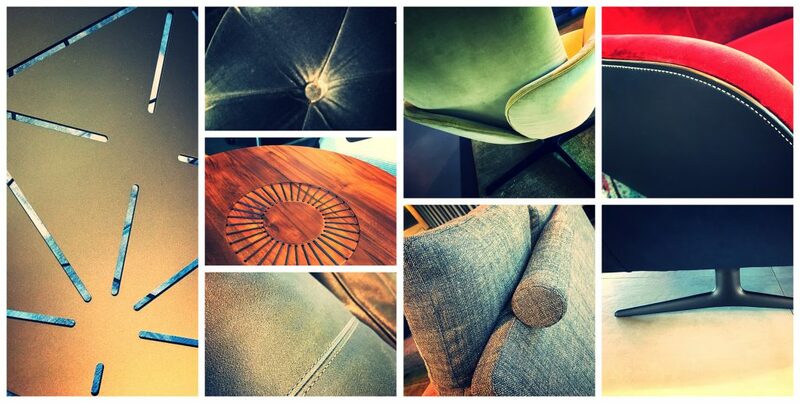 A collection of exquisite Walter Knoll pieces are available to view now in our showroom.